Have a skillet with a coating of water on the bottom. Chop up the chicken into small chunks and place into the skillet. Put all the seasoning(jalapeno slices, chili powder, red pepper, garlic, black pepper, and Cajun seasoning into the skillet with the chicken. Let the chicken cook until golden brown. 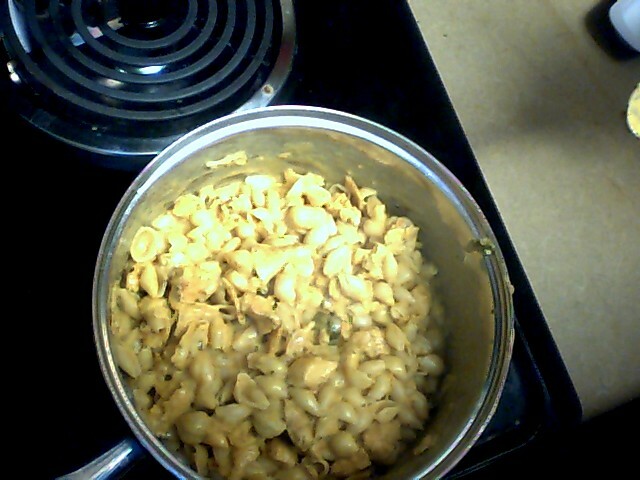 When the Velveeta shells and cheese are finished and chicken is golden brown, combine items into the pot(the one used to make the Velveeta shells and cheese) and stir well. Take off of hot burner and place on cool one. 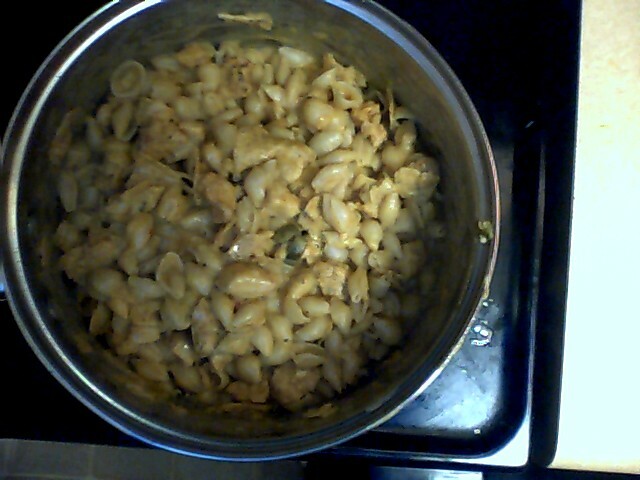 Add the Mexican style taco cheese into the pot. 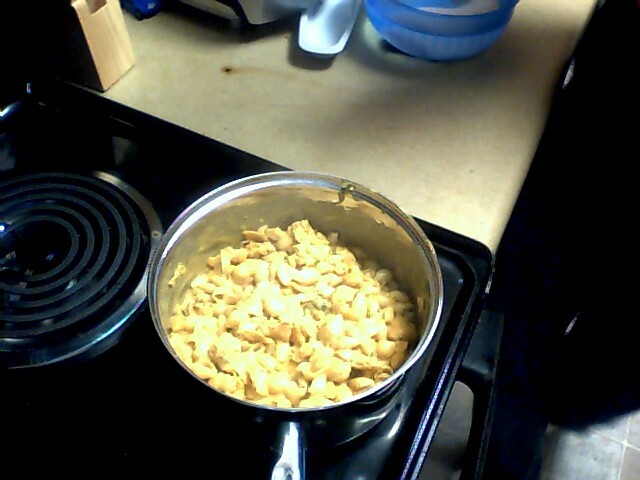 Crumble up the tortilla chips into the pot and give it a good stir.